With more and more people worldwide turning into a podcast listener today, it has become a huge necessity for almost all organizations to start their own show. 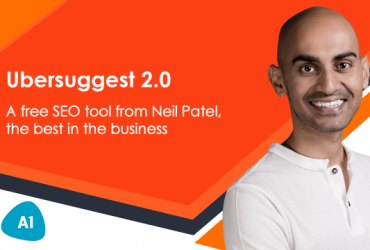 Research reveals that in 2018 and the near future podcasts will be one of the most preferred marketing tools. However, unlike blogs, podcasts are relatively easy to start, but unfortunately, with the rise of so many podcasts on the internet sphere, it would not be easy to promote them. If you are a podcaster, you might already have experienced how difficult it’s to promote your podcast. 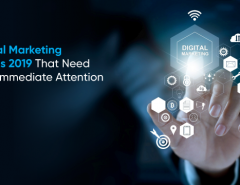 Moreover, it’s no secret that in today’s marketing scenario it’s challenging to capture the attention of the target audience and earn support for your work. Hence, it’s to remember that to promote a podcast we need strategic podcast marketing plan. There’s nothing to worry about, we have scavenged through the internet and finalized 10 smart ways to promote your podcast. These are proven creative ways to promote your podcast instantly. Social media is one of the most essential and useful promotional tools. It’s the best platform to publicize businesses and advertise a company product or service. Hence, there’s no room for doubt that if you post a podcast episode on your social media account before its release, it will help you to target different audiences and expand your reach further. Moreover, your action would intrigue listeners. The post would enable your audience to know when the episode is scheduled for release, what you are planning to deliver and what should your audience expect from the episode? Moreover, the information on social media would also provide your audience with an idea on how to access your content. Search engine optimization (SEO) is significant for any kind of content promotion. Hence, optimizing your podcast for search engines would enable new listeners to find you easily amongst your competitors. You can optimize your podcast in a number of ways. One of the best ways is to transcribe your episode and post it on your blog. Write great titles, use captivating images and create high quality content. Don’t forget to add a summary to your podcast to entice your audience. This way you can rank in the search engines (Google, Bing, Yahoo, Ask.com etc.) and promote your podcast successfully. It’s a known fact that if you feature on other famous podcasts, chances of your popularity become high. The trick is to find out those podcasts in your niche your target audience would be interested in. Connect with them and feature on their podcasts. This way your target audience is more likely to find out about you and inevitably listen to you. Furthermore, posting your podcast on someone else’s would also encourage cross-guesting bringing advantageous results for both of you. Moreover, if both parties agree to promote each other on social media, both of you will enjoy the benefits of audience crossover and broader sharing of the content. Adding another podcaster into your realm will also help you to keep your production fresh while inspiring new ideas for new segments within your podcast to engage a different type of audience. People love to get rewards, they are seen to drawn to those brands that hand out giveaways and freebies. So, consider promoting your podcast by giving away merchandise that is related to your podcast. Many organizations make the process of giving away interesting by organizing contests where the first few followers would get enticing gifts. 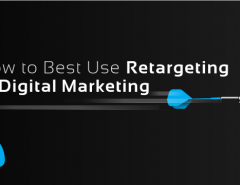 Undeniably, it’s one of the most effective ways to promote your show and earn loyalty. Once you have uploaded your podcast into your provider, you can repurpose it in as many ways as possible. One of the best ways is to convert your podcast audio into a YouTube video. Publishing your podcast as a YouTube version provides you with a handful of benefits because YouTube, the second most popular search engine will help your podcast to have a huge circulation. Moreover, when you republish your episodes on YouTube, you have the potential to reach more listeners through a new channel and get discovered through a different search platform. You might perform many actions to promote your podcast, but there are more things on the list. One of the best promotional activities is to find fellow podcasters and ask them to mention you and tag you on their social platforms. 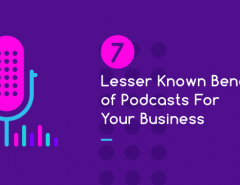 It’s a proven strategy in the online marketing world; you’ll often find that business that mentions your podcast on their social channels give you the opportunity to reach out to a broader audience. The same is true with vice versa, if you mention any businesses or brands in your social platform through tagging them, you establish broader connections. Today, podcatchers are on the rise. Wondering what are they? They are simple apps that play podcasts. You can submit your podcast to these apps for great promotion. The most popular one is the podcast app in iOS, besides these, there are dozens of other apps that collect and play your podcasts. In addition to that several paid podcast promotion services help you submit and promote your podcast. Nowadays, people trust a brand when there are social proofs and reviews available. Hence, while promoting your podcast, you also need to provide your target audience with your existing customer reviews. Let your potential consumers know how your product and services are helping them. Include reviews in your Facebook page and let your target audience know how you are an excellent brand for them. Today, promotion is the final word to grab the attention of the target audience and authors are also no different. They are always on the lookout to promote their new books. Hence, if you include a celebrity or an influencer for an interview and simultaneously the person also makes your podcast interview a platform to promote his book, your podcast would get high social recognition. Find celebrities and influencers who have huge followings and share your podcast especially during their book launches. Last but not the least, your podcast promotion can be successful if you attend podcasting conferences. Industry experts recommend that networking with successful podcasters can bring out great results. It can be an opportunity for you to spread your own podcast. Connecting with prospective guests and podcasters whose shows you would like to appear in would definitely help you with the promotion process. However, if you can’t visit any conference, you can join Facebook Groups for beneficial results. We have tried our best to provide you with the main strategies. Whether you are a newbie or you have already started growing your podcast using the above tactics would give you the opportunity to promote your podcast the right way. If you want to incorporate more efforts in your marketing campaign, A1 Future is just a click away. The professional team here is continuously researching to help you become visible amidst tough competition. 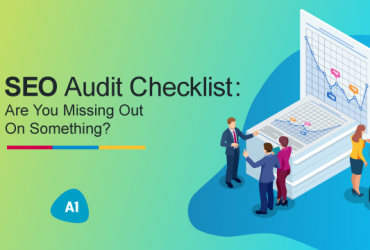 Next Article SEO Audit Checklist: Are You Missing Out On Something?